Cape Town – Disney XD (DStv 304) on MultiChoice's DStv satellite pay-TV platform has been fined R5 000 by the Broadcasting Complaints Commission of South Africa (BCCSA) for showing a horror promo to children in the morning and without a proper "13" age restriction. "The rights of parents and caregivers of smaller children have been violated" by Disney and MultiChoice the BCCSA found and imposed a fine of R5 000 which must be paid before 30 June. The BCCSA tribunal found that Disney XD and MultiChoice violated the Code of Conduct through the absence of an adequate warning which protects the rights of parents and caregivers to be informed about the nature of material to which their children are exposed to on television. Disney XD showed a promo in the morning of the British TV series Wolfblood about werewolves, in which teeth and fingernails grow "conjuring up memories of the well-known Dracula films" according to the BCCSA. MultiChoice and Disney conceded that younger children might have found some scenes disturbing. The BCCSA which viewed the promo several times found that "scenes are fleeting and out of context". 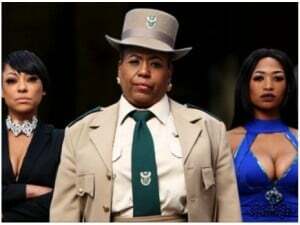 "Maybe the producers of these promos are not concerned with context and strive only to show scenes that would attract the attention of potential viewers," the BCCSA tribunal found. "Our impression of the promo is that the broadcaster is busy promoting a horror movie. The film might be an innocent youth fantasy drama, but this is not the message that the promo conveys," the BCCSA tribunal says in its ruling. "Parents and caregivers of younger children have a right to be warned about what is to be broadcast so that they can make the choice whether their children should be seeing that or not," says the BCCSA. MultiChoice conceded that the promo on Disney XD should have carried an age warning on 13. "MultiChoice has taken steps to ensure that the promotional material will be broadcast with a 13 age restriction and appropriate warnings".